The western part of Texas is home to one of the largest oil and gas producing regions in the US, the Permian Basin. 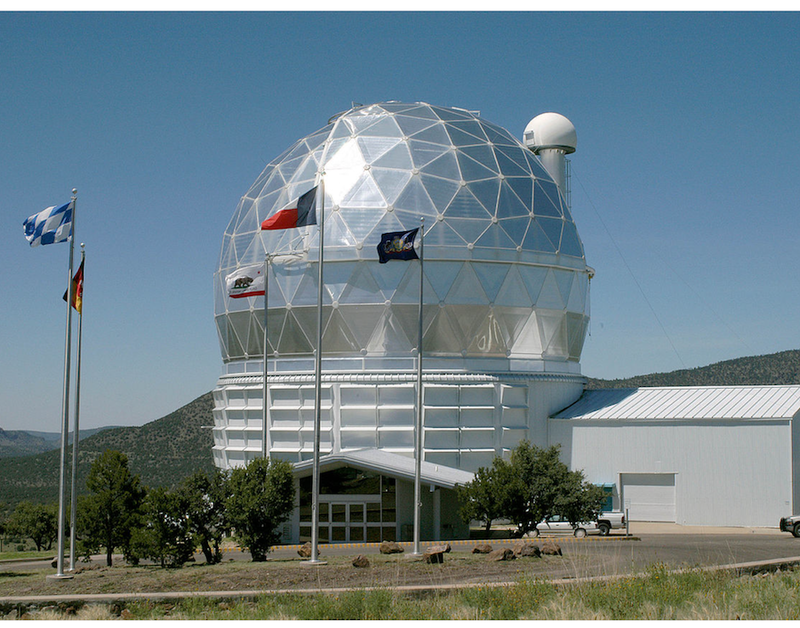 Also located in this area is the McDonald Observatory, home of the world’s third largest telescope, the Hobby-Eberly Telescope (HET). For almost 30 years, Bill Wren has been working at the McDonald Observatory. His title is Special Assistant to the Superintendent, and his full-time job is keeping the skies around the observatory dark. Situated at the top of Mount Locke in the Davis Mountains, the observatory is a satellite campus of the University of Texas at Austin. He could see where the glow was coming from, but he didn’t have any contacts in the oil and gas industry. So, he started to go to oil and gas conventions with his laptop, introducing himself as an astronomer from McDonald Observatory and sharing a slideshow with anyone who would listen, illustrating the difference between good and bad lighting. People would often tell him that it never occurred to them that their lighting was affecting the night sky. Wren found an opportunity to “get out in the field and make changes” when he connected with the CEO of Pioneer Energy Services, who enjoyed seeing the Milky Way from his family’s ranch. A collaboration was born, and Wren worked with Pioneer Energy Services to improve the lighting on a working rig, eventually co-authoring an article published by the Society of Petroleum Engineers. This joint project became a demonstration project for Wren, a place where he could bring people to show them how light was being wasted on work sites. More companies got on board when they realized that the lighting improvements were a win-win—not only do they reduce light pollution, they also save energy and improve visibility and safety on the work site. Managers of oil companies began to realize that it is simple and cheap to improve the lighting at their sites. According to Wren, “Once people see good lighting in use, they typically adopt it.” The issue is getting the word out. While it is not a priority for most operators of oil and gas facilities, they do recognize the benefits when they make the switch to dark-sky friendly lighting. As more companies recognized the benefits, a larger collaboration was born. McDonald Observatory is now working with the Permian Basin Petroleum Association (PBPA) and the Texas Oil and Gas Association (TXOGA) on an educational campaign to improve lighting practices at work sites. The group developed a “Recommended Lighting Practices” document to help oil and gas companies learn about the issue, and Wren explains the recommendations in an educational video produced with the support of the Apache Corporation. Wren uses many visuals in the video, showing pictures of sites side by side, before and after improvements have been made. He says, “You can talk about it, you can read about it, but until you actually see it, it doesn’t always register. Once you’ve seen it, you can’t un-see it.” The 8-page document also features several illustrations, encouraging site operators to use shielded fixtures, warm light, and to mount fixtures high and aim them low. McDonald Observatory’s Dark Skies Initiative is now getting help spreading the word from Texan by Nature, a nonprofit conservation organization. The Dark Skies Initiative was named a Texan by Nature Conservation Wrangler project by the nonprofit, which means the observatory will receive support from the industry, technical expertise, and help with publicity and making connections to others who can help increase awareness of the issue. As the initiative progresses, the observatory is monitoring and keeping track of changes in sky glow. Using a system developed by the National Park Service, changes in sky glow are being measured using stars that are of known brightness. The observatory has been collecting data since 2015, so their data set is becoming large enough to use in statistical calculations and to start identifying trends. Wren emphasizes that “This campaign to protect the night skies is not anti-light. We are not against lighting at night. We are simply trying to keep light out of the sky.” And as the recommended practices are starting to be implemented in the field, he’s getting feedback from oilfield workers. He reports that “the testimonials from the field are glowing.” He knows that the oil and gas industry wants to help. By finding ways to communicate how companies can help, Wren is seeing positive results in western Texas: fewer glowing work sites create more glowing testimonials from workers. Join us at the IDA 2018 Annual General Meeting, where Bill Wren will give a presentation about his work.